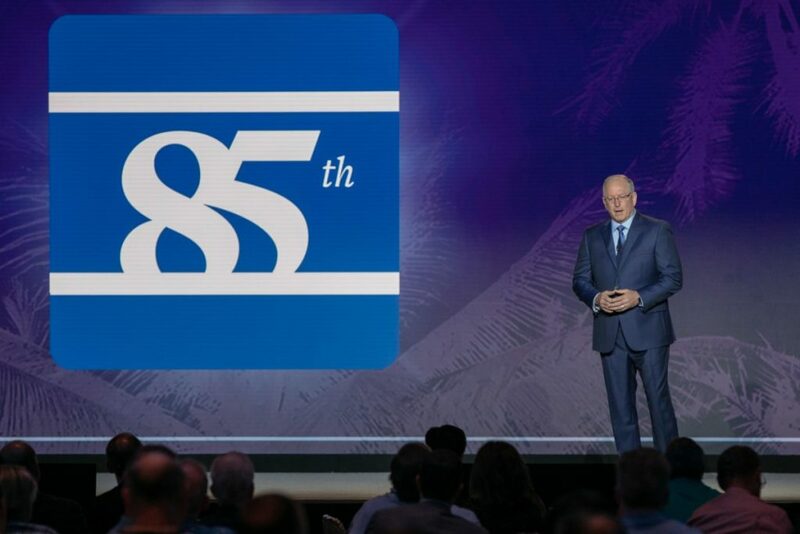 NACDS chairman of the board Mark Panzer, senior vice president, pharmacy, health and wellness of Albertsons Cos., at the 2018 NACDS Annual Meeting. ARLINGTON, Va. – During remarks at the National Association of Chain Drug Stores (NACDS) Annual Meeting in April, the NACDS leadership emphasized the importance of retailer-supplier collaboration across diverse product categories, and positioned the NACDS Total Store Expo as a natural progression of retailer-supplier collaboration throughout the year. With a theme of “Leading Health and Wellness,” the NACDS Total Store Expo will be held August 25-27, 2018, at the Colorado Convention Center.